Q) Tell me your cool female image. Dara ) It’s 2NE1 on the stage. Bom ) I think CL is cool. There was a costume trouble on MV shooting. Stylist was wrong size. MV shooting, CL could not blood circulation. 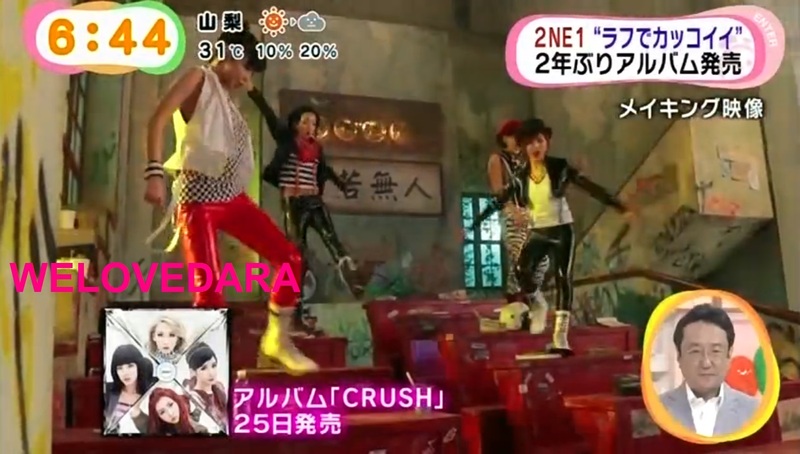 Video: 110708 2NE1 Japanese Debut, Mini-Album, and BTS of “I Am The Best” MV!!! Ohhh! It seems like 2NE1 will release a Japanese Version of “I Am The Best” on July 20, 2011. However, this will be released on Recochoku only.